Travis Simpkins— Mississinewa High School Class of 1998 Alumnus — died Saturday of a massive heart attack while at a Foghat concert at Brandt’s i-69 Harley Davidson, 6333 East Steltzer Drive on the far east side of Marion … AVA ZINN has learned. 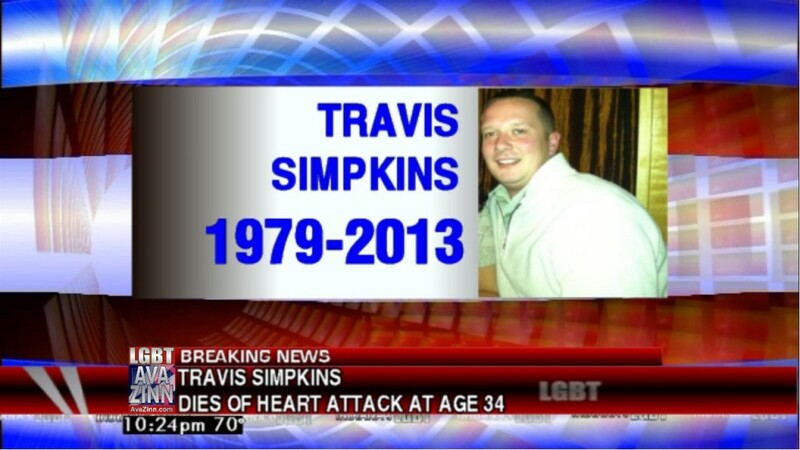 EDITOR’S NOTE: Travis Simpkins WAS the husband of AVA ZINN friend Wendy Becker. The Mississinewa High School Class of 1998 will remember all that Travis accomplished in the automotive industry. But most of all, we’ll remember our boss for his love of humor.Travis Simpkins loved to laugh.All of us at Ole Miss needed Travis. We needed his leadership and relied on his vision.He’s remembered as a friend who wanted to win everyone over. But this was a man with a desire to impact the world around him and the community of Gas City. It’s a sad time for his family and as a friend of his wife, Wendy . AVA ZINN is deeply saddened to announce that Travis Simpkins, a fellow Mississinewa High School alumbus, has died. We extend our deepest and most heartfelt sympathies to his wife Wendy. Visitation will be held on Thursday (July 17th) from 2:00pm-8:00pm at New Hope Baptist Church . The funeral will be held on Friday at 10:30am at New Hope Baptist Chuch in Gas City. New Hope Baptist Chuch is located at 800 East South “E” Street, Gas City, IN 46933. Travis’ family requests memorial donations be made to the Cancer Services of Grant County.